The annual Verizon Wireless South Area ICON experiential marketing event includes employees across six southern states involved in customer-facing roles, including business and retail sales, technical repairs and customer service. Because Verizon is an evolving technology firm with products and services that extend beyond wireless phone service, the company was seeking a means for conveying a consistent value proposition to both business and consumer-facing employees. The Verizon executive team was not enthusiastic about a traditional general session or road show format, since engagement was essential for employees retain critical sales information. As a result, corporate events agency Bishop-McCann was tasked with developing an interactive, experiential marketing approach that could help the company’s associates sell the Verizon brand more consistently and efficiently. A contest was developed that challenged associates to showcase their best practices selling Verizon products and services. Approximately 15,000 associates within Verizon South Area entered into the six-month ICON competition. The program culminated with the top 40 associates flying to a luxury destination for a final competition and awards ceremony to crown the ultimate ICON Winner. The ICON included role-playing competitions for 40 finalists, who were then winnowed down to the top six. During this day-long process, finalists performed various selling strategies in front of a panel of judges that included Verizon executives. The final winner was announced at an awards ceremony, which was followed by a concert performance from an A-List entertainer. Writing, designing and producing the official launch video that introduced the ICON brand. Writing and developing the official ICON website, which allowed employees to upload their sales pitches and enter the contest. The website also included real-time information about finalists and video highlights from the final event in Miami, Florida. Designing all supporting assets, including digital signage, application development, office promotional posters and monthly teasers. Sales within the South Area region increased 8-15% between the time the program was launched and the awards ceremony. These results were measured against specific product and service targets. 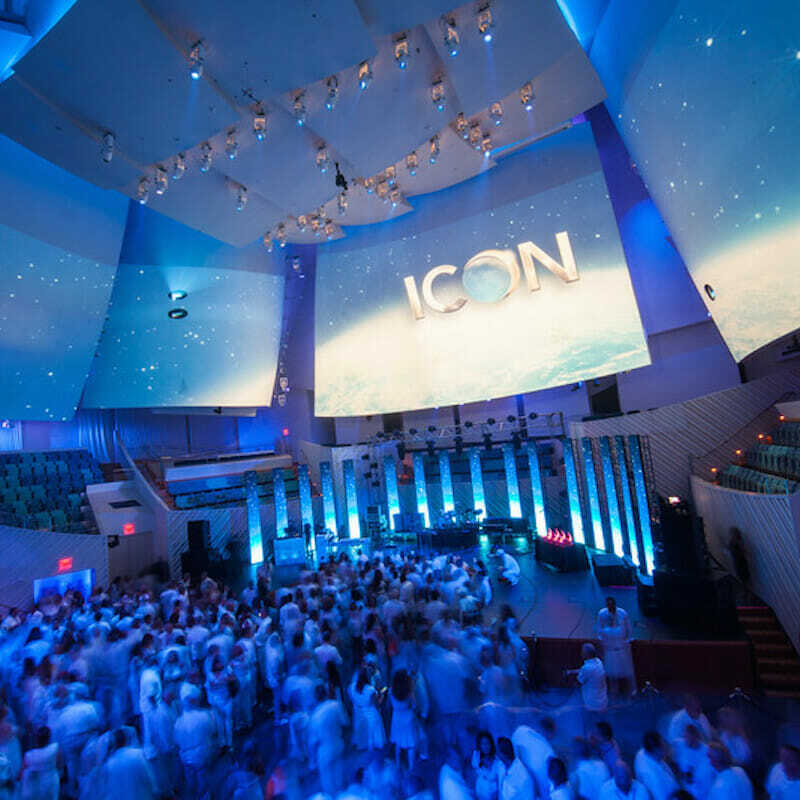 Verizon Wireless continues to use the ICON program to incent their employees and Bishop-McCann’s corporate meeting planners are currently producing ICON for the fifth consecutive year.